When a wasp lays its eggs inside a caterpillar or parasitizes it, it's not always easy to tell what's going on without destroying both species. But newly published research by UC Davis agricultural entomologist Christian Nansen and insect physiologist Michael Strand of the University of Georgia reveals a new, non-destructive and quite accurate method to characterize physiological responses to parasitism: proximal remote sensing or body reflectance response data. They published their research, “Proximal Remote Sensing to Non-Destructive Detect and Diagnose Physiological Response by Host Insect Larvae to Parasitism,” Dec. 4 in the journal Frontiers in Physiology. 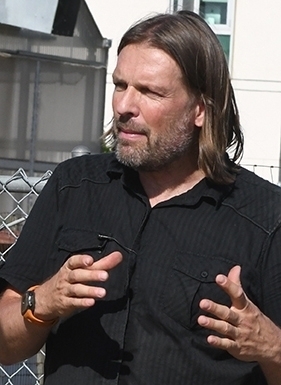 Nansen, first author of the paper and an associate professor in the UC Davis Department of Entomology and Nematology, specializes in insect ecology, integrated pest management and remote sensing. 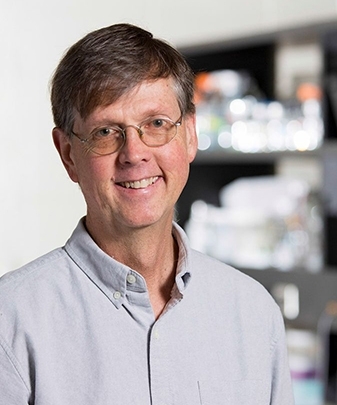 Strand, a professor of entomology at the University of Georgia, is an international authority on the physiology of insect parasitism. 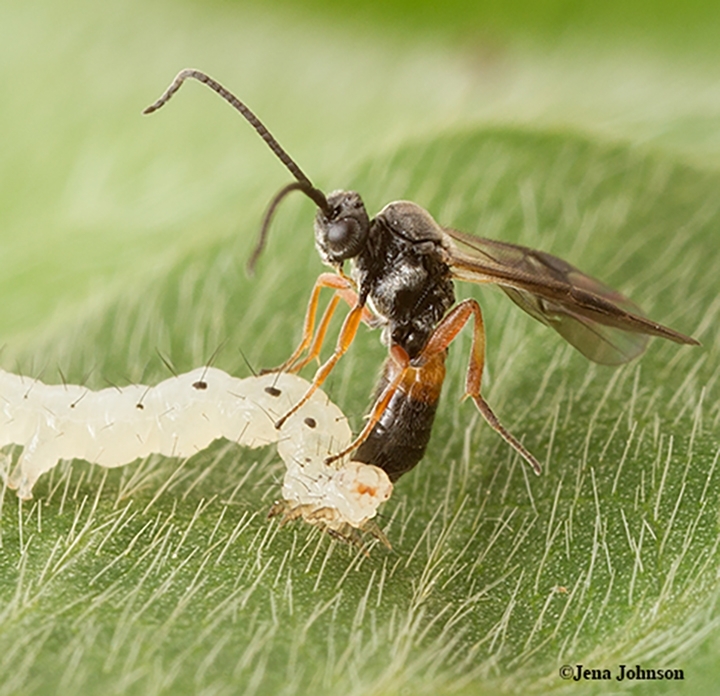 The scientists studied two common parasitic wasps or parasitoids, Microplitis demolitor, and Copidosoma floridanum, which lay their eggs in the larval stages of the soybean looper moth, Chrysodeixis includens. The pest, found throughout much of North and South America and elsewhere, feeds on soybeans. 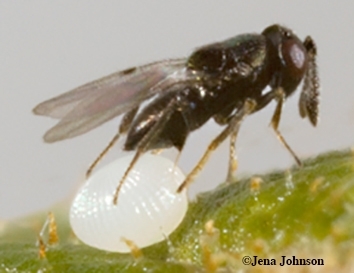 The Nansen-Strand project involved soybean loopers without parasitism (control group) and with parasitism, involving both wasp species. “Based on reflectance data acquired three to five days post-parasitism, all three treatments (control larvae, and those parasitized by either M. demolitor or C. floridanum) could be classified with more than 85 percent accuracy,” they wrote. Due to parasitism-induced inhibition of growth, “it's easy to differentiate soybean loopers parasitized by M. demolitor from non-parasitized larvae as long as the developmental stage of the host larva is known,” they said. In addition, a single M. demolitor offspring emerges from the host larva 7-9 days post-parasitism to pupate, while non-parasitized larvae continue to increase in size to the final instar. Copidosoma floridanum minimally alters host growth until late in the final instar, when thousands of wasp progeny complete their development. This wasp is known for having the largest recorded brood—3,055 individuals--of any parasitoidal insect. Insect physiologist Michael Strand of the University of Georgia is an international authority on the physiology of insect parasitism. Both of the wasps they studied are idiobionts and endoparasitoids.